Colin Spoelman moved to New York for post-grad job opportunities, but it was his home state of Kentucky that ended up giving him direction. On trips back home, he developed a deep appreciation for moonshine and distilling, and now his interest has gone from hobby to profession. 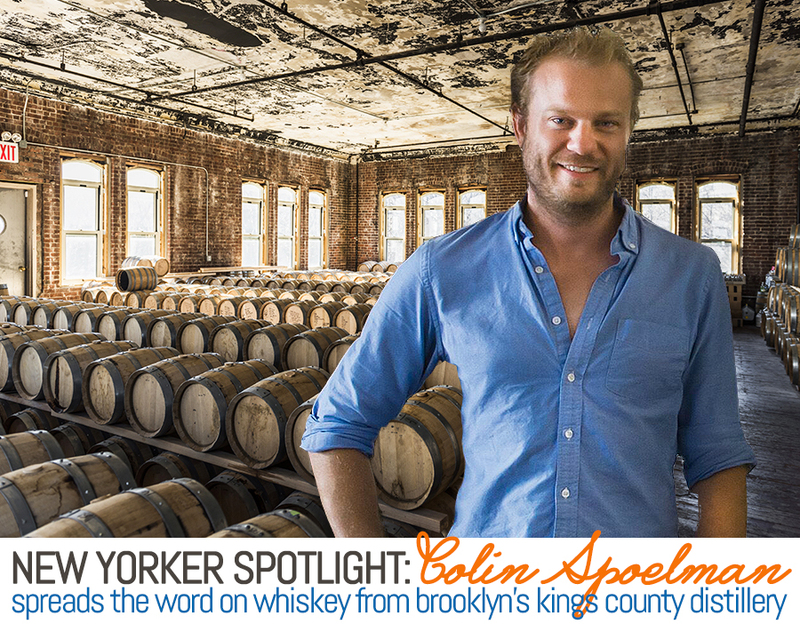 Six years ago, Colin combined his Kentucky roots, his life in Brooklyn, and his love of distilling whiskey through Kings County Distillery, where he is one of the founders (along with David Haskell) and the head distiller. 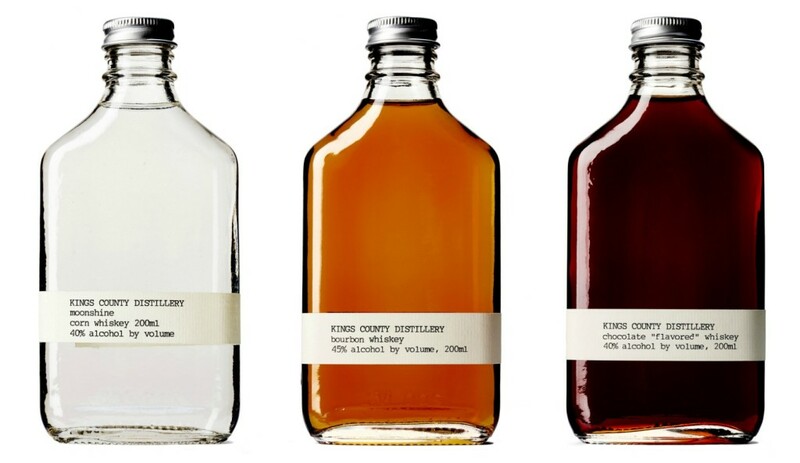 Founded in 2010, Kings County Distillery is making a name for itself with the whiskey and bourbon it distills at the Brooklyn Navy Yard, making it New York City’s oldest operating whiskey distillery, the first since prohibition. The company started with eight five-gallon stills, and were at the time the smallest commercial distillery in America. But they now have a 250-gallon and a 180-gallon still and are beginning to distribute out west and internationally. With St. Patrick’s Day coming up and lots of whiskey drinking to be had, 6sqft spoke with Colin to find out what’s distilling in Brooklyn and why it makes perfect sense to make whiskey in this borough. How did you take an interest in distilling and turn it into a business? I grew up in Kentucky, from sort of the eastern, moonshine, coal mining part of the state, not so much the bourbon, bluegrass part of the state. I got interested in moonshine because I had a bootlegger in Kentucky who sold it, and I would bring it back to New York where people had a lot of fun with it. So I got curious about moonshine and by extension bourbon. If you think of moonshine as an aged bourbon it starts to make a little more cultural sense. It was really through these trips back to Kentucky that I got interested in learning how to distill. I would say there wasn’t so much a thought about starting a business, but more of how to continue this hobby and maybe make money. 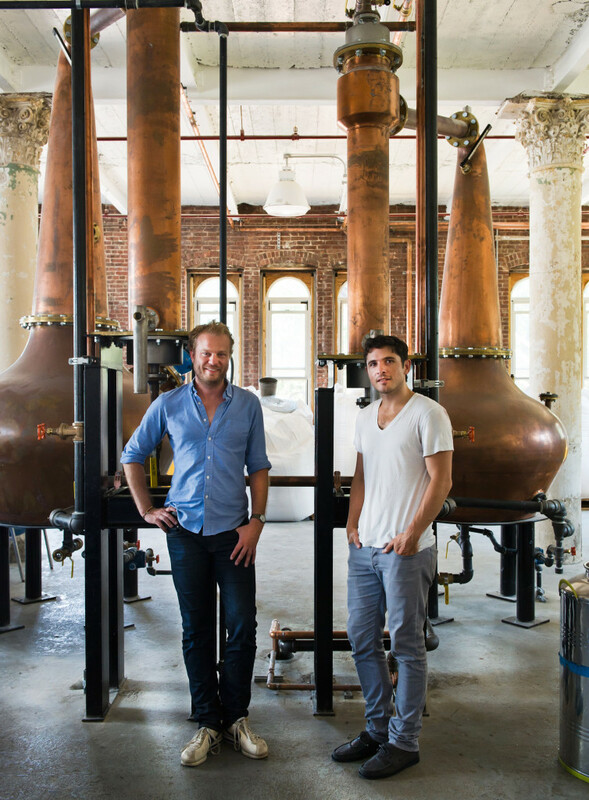 Why distill whiskey in Brooklyn? First of all, there were distilleries here before the American Civil War. In fact, Brooklyn probably made more spirits than any other place, including places we think of as being distillers like Kentucky, Tennessee, Maryland, and Pennsylvania. Alcohol became taxed during the Civil War, and that put a lot of distilleries out of business. There was a surge of illegal distillers and the federal government was cracking down on them, which became known as the Whiskey Wars of Brooklyn. There were episodes where soldiers based at the Brooklyn Navy Yard would go into the adjacent neighborhoods and destroy the illegal stills. This often got kind of violent; one officer was actually killed in the line of duty during one of these raids. Now with the craft distilling movement, which has small distillers popping up in a lot of places, there’s an aspect of Brooklyn culture that is well suited to it, and there’s a lot of people here who are creative and making things. 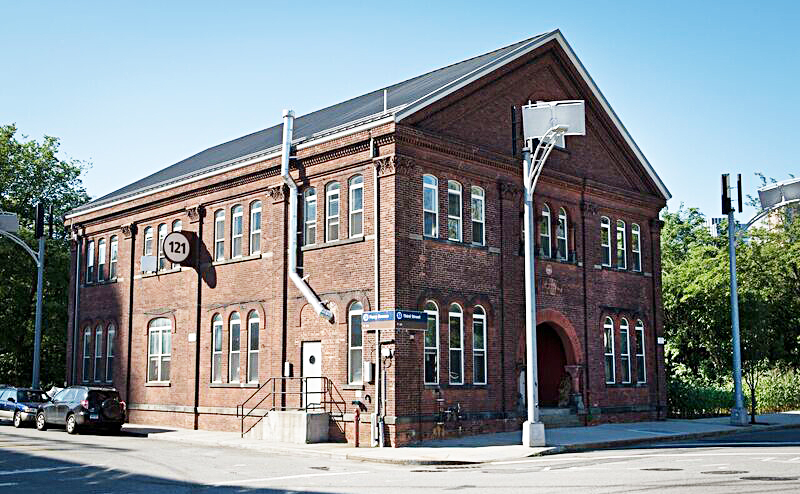 The distillery began in Williamsburg and in 2012 moved to the the 115-year-old Paymaster Building in the Brooklyn Navy Yard. Why did you decide on this location? We needed more space and there were a lot of options for space out there, but they tended to be more in the industrial neighborhoods like Bushwick, and we weren’t finding a lot because obviously in New York there’s pretty intense demand for real estate. But since the Brooklyn Navy Yard is owned by the City, they were looking to fill one facility with a really unique tenant, and so they thought of us. Would you say the area has changed over the last four years? Yes and no. The great thing about the Navy Yard is that it’s always going to be industrial. The city has mandated that it will never have housing inside the Navy Yard, so there’s some continuity that provides a sense of safety in New York where everything is always changing. With that being said, the Navy Yard has been trying to bring in more job-intensive businesses, and that’s been beneficial in a lot of ways to us. Your whiskey is made from New York State grains and your fermenters are built locally. Was using local ingredients and materials very important? It is important to us, it’s also practical, and actually part of our license mandates that we use local ingredients. You have a corn and barley patch on site. What does it take to grow these grains in Brooklyn, and do you have hopes of expanding? Well, a lot. The site of the distillery had this little patch of land that hadn’t been used in a long time so we tried to grow there for the first year and realized there wasn’t a whole lot of soil. It was a lot of really hard clay and gravel, so nothing was growing there at all, so we started composting. We generate a lot of compostable spent grains, and last year we had a really healthy crop. It was the first year our corn looked comparable to what we use for distilling. I think there is not nearly enough land to grow any fraction of a percentage of what we use in the process. I wish I could say that we could grow more of it on site, but we go through one ton of corn every two days, and the amount of corn that we can grow on site is maybe 100 pounds, so not even a tenth of a day’s production. How did the distillery decide upon its three main products — moonshine, bourbon, and chocolate whiskey? The moonshine was how the whole business started out because that’s how I got started. The bourbon is really just an aged version of the moonshine. It’s just that it’s aged in a barrel, which is where it gets all its color and that vanilla, caramel, spicy flavor that we associate with bourbon. So being a big bourbon fan from Kentucky, that was always an easy product to move towards. And then the chocolate was a seasonal item that people really loved, so now it’s become a year-round offering. That starts with the moonshine and then we infuse it with chocolate husks. There’s no other ingredients added other than the husk of the chocolate bean, which is really a byproduct of chocolate making and another way to recycle and reuse. The chocolate factory [Mast Brothers Chocolate] is across the street, so we keep it local. What has the response been to the whiskey and bourbon? Well, good I mean we’ve been growing ever since that first day. I think we have a very loyal audience here in New York. We are starting to distribute in Texas, California, Connecticut, New Jersey and even some international distribution. I think even though we’re in Brooklyn and even though Brooklyn is not a place that people associate with whiskey, we are developing a little bit of a national audience for what is really a distillery that was first initiated really just to serve our neighbors here in Brooklyn. Are you looking to expand? We are starting to distribute in Texas, California, Connecticut, New Jersey and even some international distribution. Within whiskey there are a lot of opportunities, so I can already say we have single malt whiskey that is basically like a Scotch Whiskey, but not made in Scotland. We also have a four-year-old version of our bourbon coming out soon. We already have a barrel strength bourbon that’s out, that’s a really high proof, more flavorful, more intense product. The fun of being a small distiller is that you really can be creative. We have a lot of interactivity with our customers because we do tours, so we get a lot of feedback directly. With St. Patrick’s Day coming up, does the distillery have any plans? We have a Whiskey Wars tour, which is really a more history-focused tour that begins in BLDG 92, the museum of the Navy Yard. People get an overview of the Navy Yard — the revolutionary war history that happened here, the great ships that were huge throughout American wars that were built here, and the cultural history of the people who worked here and the kinds of lives they lived. Because we are so close to the neighborhoods where all the distillers were, we’re also close to the neighborhoods where a lot of the bars, saloons, brothels, and that whole rough subculture existed. Then we will come to the distillery and get specific into those Whiskey Wars, and then we’ll gothrough the distillery and learn the production process and then come upstairs for a tasting at the end. For New Yorkers who have yet to step into the world of whiskey, why should they give it a try? If somebody is new to whiskey, I think we’re a great place to start. For a long time, bourbon has been made with a very traditional approach in Kentucky, and it’s made according to how the Beam family has been doing it for a long time. I think we’re doing it in a way that’s hopefully very contemporary and really suited to at least our place and time. Certainly for our neighbors, there’s a lot more to our whiskey that’s relevant to New Yorkers. For more information on the St. Patrick’s Day Whiskey Wars tour, click here. And for information on regular distillery tours, click here.